Make bad hair days look good on all furry pets using the Scream Shedding Comb. Ideal for combing through the coat to remove loose, dead and shedding hair on all furry pets. 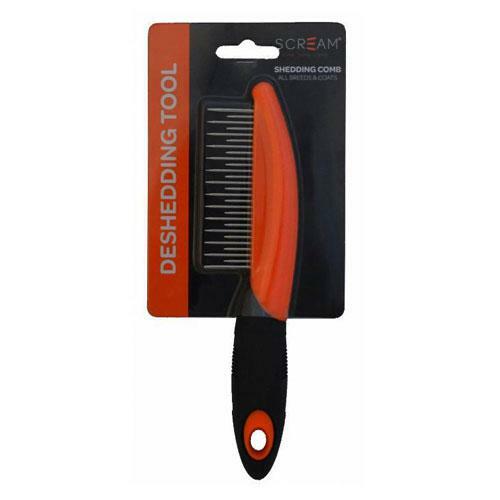 This deshedding tool is suitable for all breeds and coats. Best used when pet is relaxed to loosen and remove mats. 20cmL.